The CRFA Mark Karels Memorial four person scramble will be at Rum River Hills on August 4th. It will be a 2pm shotgun start. $320 per four person team or sign up individually for $80. Dinner and awards to follow golf. 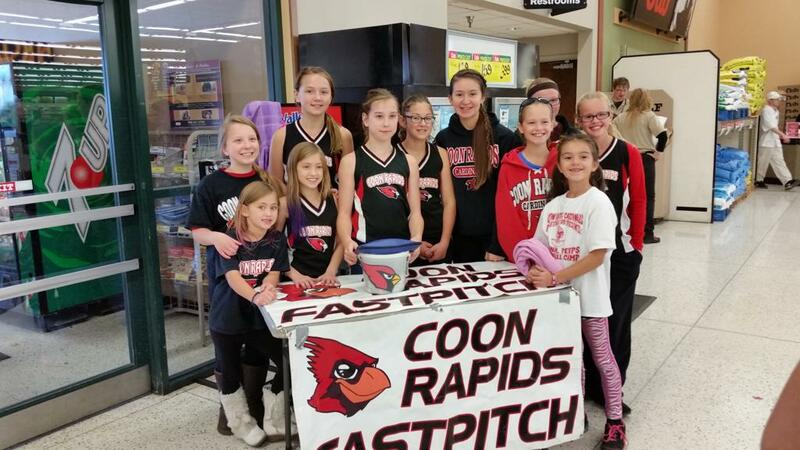 The money raised helps low income families register their daughters for traveling fastpitch. Please contact John Lom with any questions: 612-868-2008. AmazonSmile donates 0.5% of the price of your eligible AmazonSmile purchases to the charitable organization of your choice. Don't forget to "GIVE TO THE MAX DAY!" Get ready to stay up all night for your favorite cause! Celebrate Give to the Max Day with GiveMN later in 2017. CRFA players volunteering at Cub!